Considered a leading national expert in facial rejuvenation with medical injectables, Dr. Bassichis is pleased to offer FDA-approved BotoxCosmetic, Dysport and Xeomin to treat dynamic wrinkles and lines of the face. Our generations’ miracle drugs, Botox treatments are non-surgical therapies that soften facial wrinkles that have developed over time. By personally providing all treatments himself, Dr. Bassichis is able to determine the best product for you to optimize your results and experience with injectable rejuvenation. The ADVANCED FACIAL PLASTIC SURGERY CENTER uses only medical products direct from the manufacturers to ensure the safest, freshest, most long-lasting and dependable results possible. We only use FDA-approved products with the highest safety profiles and pharmoceutical standards of efficacy and excellence. As a facial plastic surgeon, Dr. Bassichis uses his in-depth knowledge of facial anatomy to truly customize each treatment for each patient. The therapy is directly administered into the facial muscles responsible for movement associated with lines and wrinkles. As a result, the treated muscle relaxes thus reducing the dynamic wrinkle. The most common areas treated include the lines between the eyes (glabella), forehead wrinkles, crow’s feet, and other dynamic facial lines to achieve a relaxed, refreshed appearance. BotoxCosmetic, Dysport, and Xeomin are natural purified proteins that temporarily relax overactive facial muscles that cause frown lines, forehead wrinkles, crow’s feet and other lines. The use of neurotoxins has been intensively scientifically investigated and is an extremely safe treatment used for numerous medical conditions worldwide for more than 25 years. The treatment is relatively pain-free, takes a mere 5-10 minutes in our office, and the results are remarkably rejuvenating. The outcome is evident 3-7 days after treatment and generally lasts between two to four months. A vital tool in the management of facial aging, some clinical evidence indicates that the use of neurotoxin may actually prevent currently evident facial lines from deepening and potential new lines from forming. Dr. Bassichis focuses on providing custom rejuvenations with Botox that provide natural, beautiful results. With his experience and expertise, he can optimize your treatment to accomplish your aesthetic desires regarding frown lines and brow elevation without a frozen or surprised appearance. Your safety and comfort regarding your aesthetic injection are our primary concern. In addition, we optimize your clinical experience in the office to make your procedure as comfortable as possible. Dr. Bassichis uses the finest gage needles and special techniques to minimize the discomfort of the treatment. Our patients are pleasantly surprised by how minimal the discomfort is – and actually look forward to their Botox appointments…and wonderful results. Dr. Bassichis personally performs all facial injections to establish healthy relationships with his cosmetic patients and help them achieve a lifetime a facial health. Additionally, to ensure your utmost satisfaction, we detail the specifics of your treatments in your confidential paperless medical record to maximize your outcomes from these aesthetic therapies. With their natural appearing enhancements, our patients are say they look -and feel- “relaxed, refreshed, and rejuvenated” from their Botox injections with Dr. Bassichis. 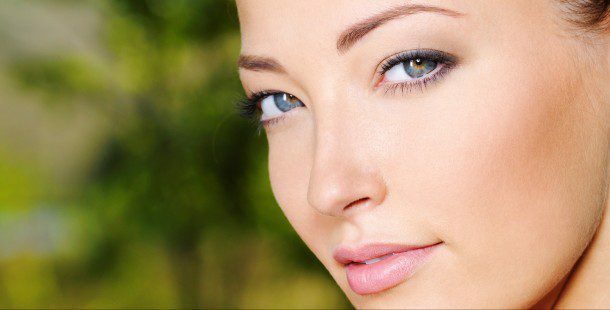 The only Double Black Diamond facial plastic surgeon injector in the state of Texas, Dr. Bassichis is recognized as a local and national authority in facial rejuvenation with injectables. He is a highly regarded national and international lecturer and educator and has published numerous chapters and articles, including “how to” articles for medical professionals regarding facial injections. We invite you to schedule a complimentary cosmetic consultation with our Facial Plastic and Reconstructive Surgeon to discuss BotoxCosmetic, Dysport or Xeomin for your facial rejuvenation and wellness.